E-commerce websites make it effortless for customers to order anything they want from retailers of all sizes—from small artisan shops to direct-to-consumer wholesale companies. In this article, we're highlighting five upcoming e-commerce marketing trends to consider for your own e-commerce website. To increase e-commerce sales, it's more critical than ever to have original content in the form of product descriptions, blog posts, interactive media, videos, and more. Managing that variety of content across platforms is becoming a big task for many companies. Historically, SaaS e-commerce platforms and popular website builders have been lacking on the content side compared with other content management systems (CMS), such as WordPress. However, with new plugins, such as the BigCommerce for WordPress plugin, the idea of "headless commerce" is making waves. Headless commerce combines the front end content of WordPress and the backend power of an e-commerce platform to create the best of both worlds. This open-source, API-driven solution is making it easier to scale content-heavy e-commerce sites without confronting scalability issues. With the open nature of CMS systems and more platforms moving to WordPress, this is the No. 1 e-commerce trend that will to make a big impact well into the future. You've likely experienced the start of the artificial intelligence (AI) and automation trend on the e-commerce websites you visit. When a chatbot window pops up and assures you that you can ask your sales questions to a real person right now, or when you get instant assistance in a window in helpful knowledge base software, you've already seen how AI and automation work. Because people expect near 24/7 instant support and availability from retailers they trust (without wanting to pay more for products and services), AI- and automation-based tools will quickly occupy a dominant place in the customer service toolbox. Customers can shop on leading platforms like Amazon, Facebook, Instagram, eBay, and more. Although you can increase your reach through those platforms, they also radically increase the number of competitors you have to worry about. By developing branding strategies and focusing on creating relationships with customers, you can encourage them to shop with you rather than simply look for the lowest price. Customer experience will be one of the most important trends in 2019 site owners will need to focus on. One strategy that will promote better customer engagement is personalized e-commerce experiences that present only the items a customer is likely to buy, add items that the customer wants to the cart for them, use live chat software solutions, address customers by name, and, in what is an advanced feature, allow them to add their digital signature for transactions that call for it. For example, e-commerce website Grove.co, which sells home cleaning supplies, sustainable products, and personal care favorites, puts product recommendations into the cart and sends customers an email a few days before shipping so the customers can cancel or modify the order. The recommendations are based on usage: If a bottle of dish soap the customer bought lasts an average of two months, the website puts another bottle into the cart two months after purchase. Customers always have the right amount of cleaning product on hand when they need it. People spend an inordinate amount of time on social media. As a result, companies began advertising with Facebook ads, then selling right on Facebook itself as well as on other social media platforms, such as Instagram and Pinterest. It seems probable that more companies will start to maintain major social media sales channels for customers to buy their products and services through social media in addition to the company e-commerce sites. And, in some cases, retailers advertise and sell through only social media. For example, 60% of Instagram users say they've discovered new products on the platform. An e-commerce business could be built entirely by targeting such customers. For some retailers that sell one-off items, social shopping can improve conversion rates. It can also provide a way to sell items online that otherwise wouldn't make a lot of sense to create an entire website experience around. For instance, say that Once Upon a Child, a consignment shop for used children's clothing and gear, receives a children's playhouse and scooter it plans on selling for $10 or $15 each. Since there's only one of each item for a low price, it wouldn't make sense to create a product listing on an e-commerce website for those items. However, selling them via social media by placing a quick photograph and noting the price doesn't take a lot of time or effort. When we think of e-commerce websites, we think mainly about the products and services we can buy online as a consumer. But B2B companies have also been moving to e-commerce. That trend includes every major B2B product category. B2B e-commerce takes the guesswork out of advanced product catalogs, client logins, and inventory management, office supplies, services from independent contractors, and marketing service companies. When used effectively, e-commerce websites provide companies with another avenue for sales. By keeping ahead of e-commerce marketing trends and using the latest online business software, you can make your e-commerce website the most successful sales channel possible, no matter if you operate a B2C or a B2B company. E-commerce marketing doesn't have to be complicated or expensive. Author: Adam Enfroy is the senior digital marketing manager at BigCommerce and a blogger. He's passionate about harnessing the right software, content, and strategic partnerships to scale digital growth. Adam writes about making money online. You can connect with him on Twitter and LinkedIn. 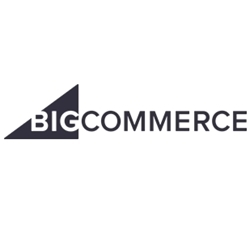 BigCommerce is the world's leading Cloud e-commerce platform for established and rapidly growing businesses. Combining enterprise functionality, an open architecture and app ecosystem, and market-leading performance, BigCommerce enables businesses to grow online sales with 80% less cost, time, and complexity than on-premise software.